On October 26, New Jersey was hit by Super Storm Sandy. With power outages and telecommunication lines down throughout New Jersey and expected to be out for a week or more. Our fire and Life Safety equipment was running at capacity for 48 hours. The Building Management team at 100 Tice Blvd was able to reach out to our vendor Montvale Landscaping and ask to help provide us with additional diesel fuel during the extended outage. As always Montvale Landscaping was able to accommodate us through the aftermath of Hurricane Sandy until our building services were fully restored. We extend our sincere appreciation and look forward to continued business with Montvale Landscaping in the future. All of us at Coining want to thank Montvale Landscaping for going above and beyond in the aftermath of “Superstorm” Sandy”. The responsiveness and hard work of your entire team helped us maintain our operations during the extended power outage. Nowadays, where customer service too often means “customer disservice,” it’s nice to know there are companies who still care. I wanted to write in recognition of the outstanding service delivered in the wake of Hurricane Sandy last week. Crews were on site almost immediately to clear trees that had come down across walkways and roads enabling us to not only open for business, but since we had not lost power, we were able to accommodate employees from other sites. This resulted in no down time or loss of revenue to our business when other companies around us were impacted for days by similar circumstances. Not only was your landscaping and grounds support essential to continue running, but the assistance in securing fuel for our generators at multiple sites supporting critical IT systems, when other vendors could not was essential in our ability to service our customers who depend on us for their much needed pharmacy benefits. I am writing to compliment your firm regarding the construction and plant installation recently completed for the Alfred Sanzari Company at the Marriott Glenpoint Hotel. My senior landscape architect, Burns Benson, told me that the quality of the work was excellent and that your employees and managers were extremely professional. I visited the site myself and want you to know that I was equally impressed with the execution of our plan and details. I’d like to compliment your snow removal crews for the outstanding job they did during the Christmas weekend blizzard. The Valley View complex was completed with excellence and care. Having been the president of an HOA in Rockland for 7 years, I know the pains that come with an average landscaper/ snow removal company. Once again, your crews did an amazing job with last nights storm…kudos to your team…I would highly recommend Montvale Landscaping! You have been our landscaping contractor at NUS Corporate Plaza ever since we built our office facility here in Park Ridge 22 years ago, and we have always been more than satisfied with the professional services you and your staff provide. So when we contracted with you last summer to plan and install upgrades to our entrance ways and parking lot islands, we knew we would be pleased with the results. However, we would be remiss if we did not write to let you know that our expectations were exceeded, that we continue to receive compliments from building personnel and visitors alike, and that we ourselves are delighted with the results. Your choice of trees, shrubs and flowering plants was ideal for our location, enhancing and complementing the look of existing plantings. Our real estate broker, who is in charge of maintaining good relations with our existing tenants, and with securing new tenants for building, is particularly pleased with the new, improved look of the grounds, and reports that prospective tenants have commented favorably on the landscaping. That includes, by the way, the more recent waterfalls, garden, which under your supervision looks even better than we had hoped, and has won us kudos from town officials for helping us maintain the beautiful character of the office park area of Park Ridge. We continue to value our excellent relationship, Jeff, and look forward to many more years of working with you. Please contact me at your convenience to discuss several other upgrade plans we are considering. It recently occurred to me that for years I’ve been admiring the quality of work that your company has produced for my site, yet I’ve never expressed my gratitude. Whenever is snows, I’ve always noticed that our driveway and parking lot are in better condition then the road I traveled on during my commute. I never have to worry about the lot and having one less thing to worry about is wonderful. Your company’s work is consistently of the highest quality and it keeps our employees safe when conditions are typically at their worst. Regarding your summer landscaping, Ivm always very impress with how nice our grounds look. 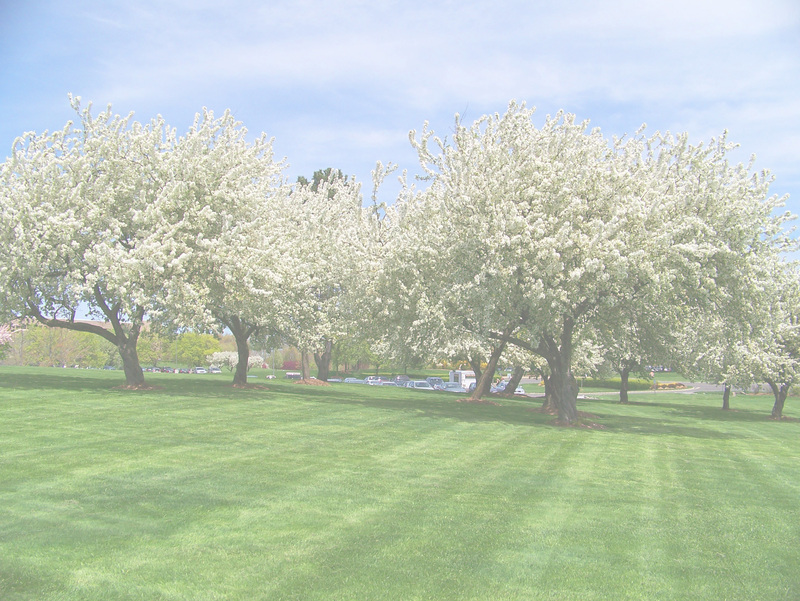 The lawn is always well manicured and the color is always rich and deep. The grounds are always kept clean and fresh looking. Again, well done and much appreciated. I’m looking forward to working with you for as long as we are in the building. Feel free to name me as a reference should the need ever arise. Tom, as a veteran of 15 Rochester winters and four more in Maine, I am probably among the few people who can really appreciate the art of manicuring the macadam when it’s buried in snow. This note is a bit overdue but you should know . . .the work you and your crew did is nothing short of amazing. The weather line worked fine early Monday, and when I rolled in yesterday morning., the Franklin Lake property was perfect .. although I’m thinking your guys were having a little too much fun sculpting those 15 foot high snow banks. I’m guessing that when the heavy lifting was done, your team was taking trophy pictures just like fisherman mugging for the camera next to their biggest catch. If today with the temperatures in the 40’s your guys get bored. . . I know where there’s a mailbox in Rockland County that needs to be dug out!